We are in the business of food and drink and so are you. You want to tell the right people about your product or service and grow sales. If that sounds right then we already have a lot in common. We love food and drink. We believe in changing people’s attitudes to food and drink products and services. We do this by sharing stories about the products brands and services that inform and educate people – the media, customers, stakeholders, internal teams. We use different disciplines to deliver this including research, public relations and marketing. We collaborate with clients from, food, drink, fresh produce and hospitality. Here are some of the great brands we work with.  For a free comms audit drop us a line fresh @ pamlloyd dot com. Call us on 0117 924 7220 or message us on Twitter or Instagram. We're a friendly bunch and happy to chat over a coffee.